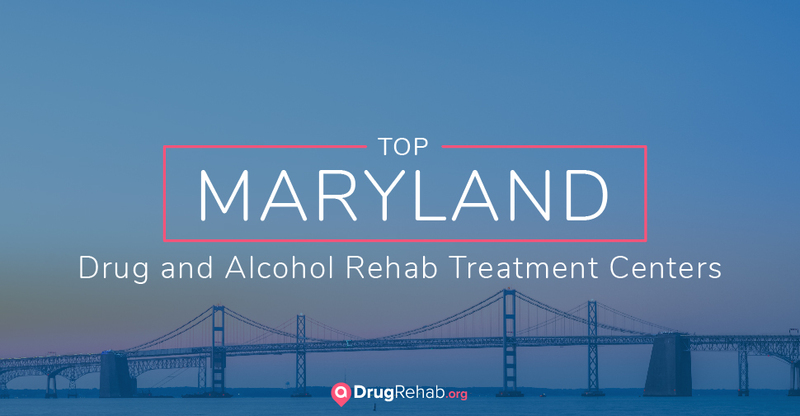 Maryland has a wide selection of drug and alcohol rehab centers and finding the best fit for you or your loved one is an important step toward recovery. There are several types of effective addiction treatment options available in Maryland. When Maryland ceded the land to build our nation’s capital, it earned a place in history as a state that valued service. Years later, Maryland became home to Clara Barton and her dedicated service through the American Red Cross. However, despite Maryland’s commitment to safety and wellness, it is home to thousands of people suffering from substance abuse. In response to the substance abuse crisis, Maryland has treatment centers across the state that serve those struggling with addiction. If you or someone you love is looking for a Maryland inpatient drug rehab, here is a list of top facilities, ranked for their treatment approaches and positive reviews. Ashley Addiction Treatment, formerly known as Father Martin’s Ashley, provides medical care and psychological evaluation. Along with medically supervised detox, Ashley Addiction Treatment offers individual and group therapies, 12-Step meetings, and education on the disease component of addiction. Ashley has a pain recovery program, created to help those who suffer from chronic pain find relief, and extends a personalized aftercare plan to ensure clients are given a step-down phase to their treatment. The Jude House’s philosophy states, “chemical dependencies are treatable, highly complex illnesses. Treatment is most often successful when chemically dependent persons come together in an atmosphere of abstinence and mutual support.” In this spirit, The Jude House offers treatment through various therapies, family support, sober life skills, and career coaching. The Maryland Addiction Recovery Center (MARC)’s treatment program has a continuum of care that ranges from opiate detox to both inpatient and outpatient services. Their recovery tools include individual counseling, process addiction groups, vocational training, and holistic services. The evidence-based therapies at MARC include a Master’s level primary therapist, and group treatments focused on trauma, gender-specific issues, family dynamics, and spirituality. This privately owned center has been providing medically supported drug and alcohol treatment for nearly 20 years. With a lineup that includes addiction counselors, a board-certified addictionologist, and nurses, Phoenix ensures client safety and medical supervision. The residential program’s approach to treatment includes detox, guided meditation, Wii therapy, aromatherapy, and canine therapy. At Kolmac, treatment begins with stopping all use of substances, rather than beginning therapy while a person is still using a substance. Kolmac then educates on the Relapse Sequence, which includes understanding the thought and behavior patterns that lead to compulsive relapses. In addition to a withdrawal management program, Kolmac offers day and evening program options, and a strong medical presence. This medically informed, holistic style of treatment seeks to “heal the individual in all aspects of his or her addiction or disorder.” This includes treating the environmental, lifestyle, and psychological aspects of the ailment. Mountain Manor specializes in young adult and adult treatment, and uses a nurturing approach to addiction treatment. The detoxification process is one of the first official steps of treatment. When someone uses drugs or alcohol for an extended time, the body can become dependent on that substance. During detox, the body rids itself of the drug, often leading to painful withdrawal symptoms. Although detox is key for beginning a new life in recovery, it can be uncomfortable and should be under the supervision of a medical professional. Not all drugs require a medically supervised detox, but it can be particularly important for someone withdrawing from alcohol, benzodiazepines, or opioids. Remember that the discomfort of withdrawal is temporary. Once your system has detoxed, you will be much more physically able to start your recovery. When it comes to choosing the most successful type of treatment, data shows that long-term care statistically increases positive outcomes for clients. Prolonged treatment that lasts at least three months increases the chance that an individual will achieve long-term recovery. Seeking inpatient or residential treatment in Maryland is one of the best options for success, in terms of completion rates. Inpatient rehab programs allow the individual suffering from addiction to be in a protected atmosphere, away from potential triggers that could be perilous to their sobriety. Inpatient treatment refers to facilities that provide beds for patients, so that those being treated can stay overnight. Inpatient (or “residential”) treatment times can vary in length, from seven-day detox stays to treatment that takes place over the course of several months. Research indicates that spending at least 90 days in treatment positively affects a person’s recovery, and an inpatient rehab facility can be a good way to accomplish this. Just like treatment lengths can differ between facilities, the style and culture of Maryland inpatient treatment centers will also be varied. However, most residential facilities in Maryland will provide a focus on individual and group therapy, and also include recreational and experiential pursuits. Recovery Centers of America at Bracebridge Hall is a visually stunning residential treatment facility, located in Earlville. Recovery Centers of America offers a diverse array of therapies, including relapse prevention, mindfulness training, and trauma-informed care. Detoxing from substances can look different, depending on what’s currently in an individual’s system. Individuals undergoing detoxification from certain drugs, such as alcohol, benzodiazepines, and barbiturates, should do so in a medically supervised setting. Withdrawal from opioids, while not usually dangerous, can be painful and uncomfortable. Sometimes, an individual will relapse and use again, if only to alleviate withdrawal symptoms. Maryland treatment facilities that use medication-assisted treatment (MAT) can assist in this situation, by prescribing certain medications that minimize withdrawal symptoms. Facilities may use Suboxone or methadone to treat someone in opioid withdrawal. Buprenorphine-based medications like Suboxone are less likely to be abused than methadone. Hope House Treatment Centers, located in Crownsville and Laurel, utilize medication-assisted treatment therapies along with cognitive and behavioral counseling. These services are provided by qualified healthcare professionals. Many people that suffer from addiction also have mental health concerns that coincide with their substance use. When an individual is diagnosed with a substance use disorder and a mental health disorder, it is referred to as a co-occurring disorder or dual diagnosis. For some, the mental health issue surfaces first, which can lead individuals to self-medicate with drugs or alcohol. For others, the substance abuse happens first, which can create mental and emotional complications over time. In order to begin the healing and recovery process, individuals with co-occurring disorders must treat both conditions. Facilities like The Porto Treatment Center tailor their programs to treat those suffering from co-occurring disorders. Located in Prince Frederick, The Porto Treatment Center offers in-depth diagnostic assessments and low-cost holistic treatment therapies. For many, drug treatment can be an overwhelming experience. Being newly sober in an unfamiliar place can leave clients feeling vulnerable, which is why safety is essential. To ensure clients feel safe and respected, some may prefer a gender-specific treatment program, while others may feel more at ease in a LGBTQ friendly facility in Maryland. By overcoming fears about their environment, clients are given an opportunity to recover in a supportive space. Along with the therapies offered at other treatment facilities, luxury rehab centers in Maryland provide special amenities like fine dining, private fitness instruction, and exclusive accommodations. Although this style of treatment will usually have a higher price range, Maryland luxury rehab centers provide an unequaled quality of care. Individuals in luxury rehab centers will be provided with customized approaches to treatment and given access to some of the top professionals in the industry. Tranquility Woods provides traditional therapies along with holistic approaches like yoga, massage, and infrared sauna sessions. Located in Pasadena, Tranquility Woods rests on 23 acres of protected Maryland forest and is a serene location in which to enter recovery. When substance abuse lands someone in legal trouble, serious consequences can occur. For someone with a substance-related charge, the court system may accept treatment as an alternative to jail. If someone is experiencing legal consequences as a result of substance use, there are treatment facilities in Maryland that specialize in working alongside the judicial system. Right Turn Impact in Eldersburg provides recovery alternatives to those who are involved with the court system. This facility offers state-certified programs that provide affordable alternatives to those facing legal trouble, while providing client supervision and accountability. Right Turn Impact offers court liaisons, and works in cooperation with attorneys, prosecutors, and probation and parole officers. For individuals who have a low chance of relapse and are not on a medication-assisted program, intensive outpatient (IOP) can be another alternative. In outpatient treatment, individuals return home at night, which can create a less secure treatment environment. Maryland outpatient treatment centers can be an excellent option as a “step-down” service, after a stay at an inpatient facility. Additionally, IOP has a higher dropout rate compared to inpatient treatment. Serenity Treatment Center, located in Frederick and Hagerstown, offers an intensive outpatient program that includes counseling, case management, MAT, recovery coaching, drumming therapy, and an aftercare program. Drug and alcohol treatment may seem cost-prohibitive, but there are many financial assistance options available to those seeking help. Some Maryland drug and alcohol rehab facilities may require an out-of-pocket cost, but public and private insurance coverage can offset this expense. Many facilities accept public insurance, including Medicaid. If you or a loved one is concerned about the cost of substance abuse treatment, most people are at least partially covered by Maryland government- or state-funded insurance vouchers. Some treatment centers throughout Maryland offer scholarships, sliding scale fees, and payment plans to financially assist those in need of treatment. Maryland’s selection of treatment approaches is a response to its arresting addiction rates. More than 10 percent of youth have used illegal drugs. Over four percent of adolescents took painkillers that were not prescribed to them. Over 300,000 Maryland residents are dependent on alcohol. Nearly 150,000 Maryland residents are dependent on or use illicit drugs. From these numbers, only 8.8 percent of people suffering from alcohol addiction and 14.8 percent of those struggling with drugs seek treatment per year. For more information about Maryland drug and alcohol rehab centers, contact us today.